Emily had been working to manifest two important things for some time. In the first part of this story everything worked out beautifully. Now for the next important item, a better home with a garden on the 1st floor… it’s a bit complicated, but as Emily said, she knows what to do. Here is part 2 of her story. 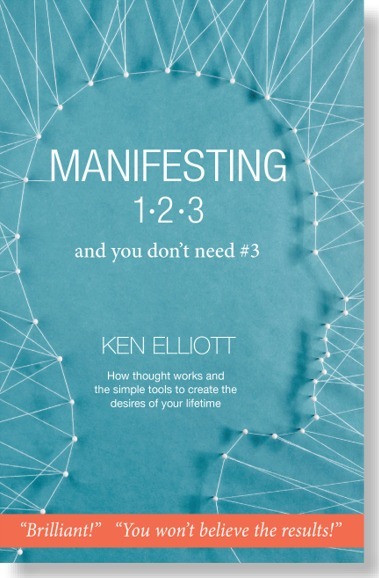 Last week my manifesting storyappeared here with concerns about my health and employment problems.I had been let go by my employer after a bad fall at home. I felt compelled to file a discrimination suit after receiving evidence of such and after almost 2 years, I won the suit with terms more favorable than I could have imagined. During the time before the settlement I had increased my prayer and manifesting efforts to bring about two major changes: that the suit would be resolved successfully and for a new home. I live modestly with my 11 year old son in an 11th floor apartment building. My dream and hope for some time has been to have a ground floor home with a garden. Since I have been combining manifesting and prayers for years, I knew what to do and went right to work the idea of my new home.In my future I visualized that it had a white door with glass panels, a golden door handle and the #6 on the door. Here’s the tricky part.I live in England and thankfully, they have an assisted housing program. I am a part of that now, thank goodness, but it is very difficult to change locations or move to a better place. I had put in for a change with the Housing List almost 2 years ago and after the successful lawsuit I was newly optimistic.I strongly felt that my prayers and manifesting practices resulted in that positive settlement outcome after two difficult, but survivable years. That success made me think – where am I on the Housing List today?I went online and I have to say that I was much surprised and delighted that I was now eligible to look at new places! There are always thousands on the list but today it was my turn, after waiting for soooo long! I went online and found 2 good choices on the Housing List website and made offers on both.Then there was the electronic wait…. For the first home there were two offers in front of mine and I quickly learned that it one of those offers had been taken. For the second home there was one offer before mine and regardless, I went to look at the home. The person with the first offer would be there shortly to look as well so I had to wait my turn, leaving me with time to kill. I had immediately noticed the white door, glass panels and the interesting address and looking around later I found the nice, cozy garden.Time to get to work on getting this house! I visualized that this was the new home for me and my son and that we enjoyed our time there and while I was walking / pacing around, I prayed to God that my best and highest good be done here. That’s when I found a feather and gold key together in the garden. Did I just get this home?? After a time I went back inside and the owner said that the other person never showed up, so the home was ours!But it doesn’t stop there. My son likes the school he is in currently, but he much preferred another school, one at too great a distance for him to attend. Our new home is just around the corner from that favored school! I still can’t stop with this.My fall resulted in a spinal injury. I can walk, but with difficulty so it’s important to have a couple of features in any new home: little or now stairs and support rails in the shower and tub. Since this is that perfect home come true, it has that as well. Shortly after viewing the new home, my 24 year old son brought me a beautiful gift, an angel painting to hang inside.I should mention that my eldest visualized and prayed with me. He saw himself drinking a cold frappe in the garden. 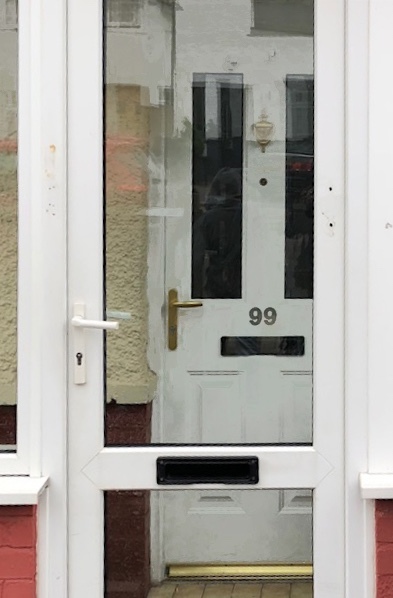 Here’s a photo of the door to my new home.It’s all there just as I visualized it except for the #6, it is #99.I like it even better! I taught my kids what I know. Prayers and manifesting. Manifesting and prayers… never stop.Your prayers are heard and our thoughts can create wonderful things.